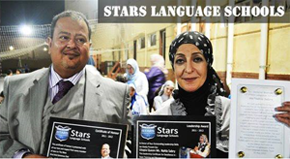 We are the STARS We are the first to follow the latest international standards of quality education stated in a professional school operation manual. Accordingly, a stable level of performance is provided in STARS. We also do our best to minimize staff turn overs which is a major drawback in all schools in Egypt that affects the students' progress. 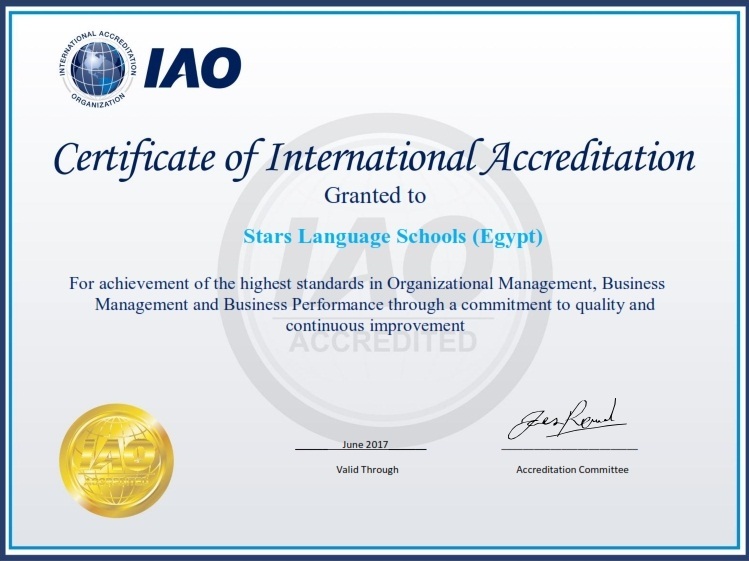 Stars Language Schools was granted an international accreditation for achieving the highest standards of management.